On hearing the name of Switzerland, we are sure that a postcard comes to your mind depicting a scenery where river flows from the Alps, the cows are grazed in the vast green fields and a milkmaid is coming to collect the milk to produce dairy products. Switzerland, covered by 70% amount of mountains is a paradise-like country and it can be said that it has the best natural beauty in the world. The lakes, rivers and green land is everywhere and the snow keeps its permanent residence on top of the Alps. Switzerland’s every corner can be regarded as a sports field. You can go skiing in Saint Moritz or Interlaken or let yourself flow with the water in River Rhine by rafting. Lake Geneva and Zurich are the perfect places for boat cruises or kayaking. Are you into hiking? Käferberg or Üetliberg will be your favorite spot. 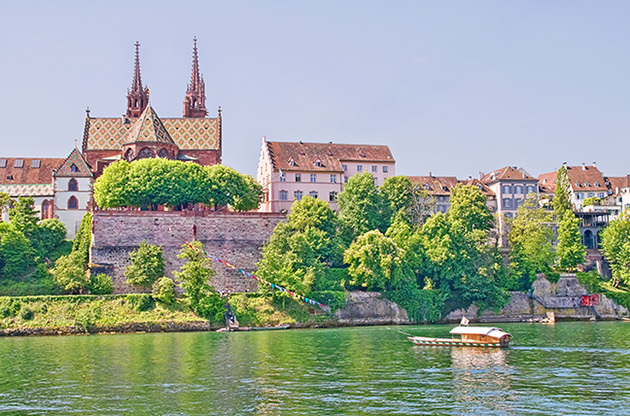 Switzerland is home to many global and politically important cities like Geneva and Zurich. Numerous international banks have their corporate offices in Zurich which makes Zurich the capital of finance. On the other hand Geneva is where the centers of international organizations are located. Basel is associated with art and Locarno is known for its film festival. Switzerland is ready to welcome you with its smiling, respectful and punctual Swiss people and with its unforgettable nature. The world-renowned cheese cannot wait to show its legendary taste to you just like the impatient chocolate dying to be melt in your palate. So why do you still hesitate? Pack up and get lost in the dream, in Switzerland. Switzerland whose capital city is Bern is located in central Europe and surrounded by France, Germany, Austria and Italy. Switzerland’s geographical and climate conditions are perfect for skiing. If it is the season, do not leave this country without experiencing skiing on Alps. Saint Moritz, Matterhorn and Interlaken are the most popular destinations for an unforgettable ski experience. Rhine Falls is the largest falls of Europe. Located in Zurich, Rhine Falls is so gorgeous that you can forget about the world you are living in for a moment. Sport activities are varied and the medieval castle offers so much to explore. Do not miss this visual feast in Rhine Falls. If you are curious about what it is like to live in a fairytale, Swiss towns will make your dreams come true. For picturesque lakes, fresh air and vast green land, you may visit Chateau d’Oex and Gandria. Each city of Switzerland is worth paying a visit. The common ground of these cities is the beautiful nature. Zurich, home to many international banks is considered as the capital of finance of the world. Geneva is the place where the corporate offices of many international foundations are located. Locarno is known for the famous film festival and the name of Basel is associated with art and Bern, the capital city of Switzerland, surrounds you with the spirit of Middle Ages. Switzerland is a heaven especially for luxury shopping. If you are into watches and jewelry, you will find many options in Switzerland. Open air markets all around the country will give you also the opportunity to buy antique stuffs or artworks. What to buy from Switzerland is listed below. Make sure you bought these items before you leave. Swiss cuisine is a composition of French and Swiss cuisine. Delicatessen products are dominant and the most popular member of this cuisine is the cheese. Fondue, meat dishes and the wine are the first things that comes to mind when it comes to Swiss cuisine. The wines are more tasteful in German-speaking regions of Switzerland. And the highly recommended wines are Hallauer and Kleuner. There are more than 300 kinds of cheese in Swiss cuisine. Especially fondue and raclette are the most popular dishes and can be eaten in any restaurant. Cheese tarts are also worth tasting. Since Geneva can be regarded the fresh fruit and vegetable farm of Switzerland, spinach, carrot, cabbage, spinach and cheese are highly consumed in this cuisine. Best dishes of Swiss cuisine can be listed as Longeole, Cardons, Bernerplatte and steak. Visa Requirement of Switzerland If you can travel freely to Schengen countries, you will also may travel to Switzerland without a visa. To make sure Switzerland requires visa from your country, you can simply check it out on Switzerland Ministry of Foreign Affairs. Switzerland is an exceptionally profitable country for hosting global gatherings firstly in light of the fact that it has an extremely central area in Europe and secondly it has one of the biggest congress and exhibition spaces in Europe. Being a worldwide and politically central country, Switzerland is home to world class venues providing with the most recent innovations and world-renowned hotels suitable for presentations, tradeshows, fairs, conferences, congresses and symposiums.